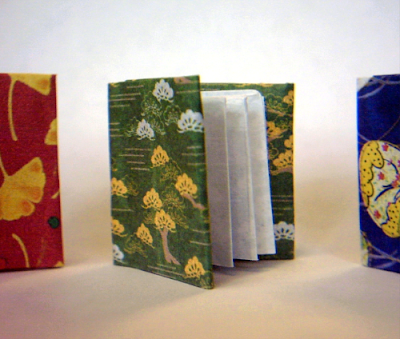 crafty lil' thing: Tiny Origami Books! Only a bit over 1.5 inches tall. Oh I love them! 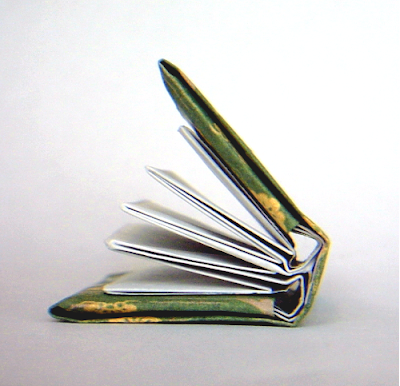 I learned to fold them on Youtube and they are so easy! Having no large origami paper, I printed out a page of lovely paper from here and cut it to 8" square. It took a few tries to figure out how to make the pattern on the cover fall the right way, but the result is adorable. Hum, what could I do with this?